My Father reccomended this book to me after a strange encounter with an old lady in our Church. We had some “forced” community time during a service and apparently this lady had the book on hand and said my dad would enjoy it. He never reads novels so I was surprised to hear him speak so highly of the book. In his own personal life he said that after walking with the Lord or 32 years, having been a pastor and studied the Bible for years, he felt refreshed and had all his preconceived ideas of God challenged. He had realised, from the book, that he served the Living God, the one who made himself known through Jesus, the word made flesh. Nothing new there, only that it’s easy to forget that the focus and point of all our theological endeavours should revolve around Jesus. Being Christians means we seek to know, understand, and share in the life of Jesus. My own experience has been similar; quite often we neglect this fact when we come to study theology and it can become just like any other subject out there. So when I got my hands on the book I devoured it. Read it cover to cover in less than 2 days. I must confess that I never read novels, and have probably only ever read a handful in my short time on the planet (I only read non fiction). What I can say is that I was profoundly challenged by the book. I found much of it’s theology to be orthodox, and it provided a fresh insight into the trinity. 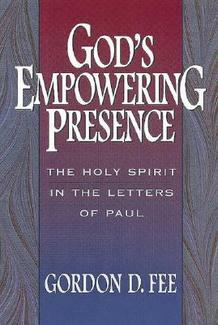 To be sure, the book affirms that Jesus is God, the Father is God, the Holy Spirit is God. Salvation is by grace from start to finish, and that we cannot earn our salvation. We cannot even forgive others without God’s help, and we cannot believe in God without the help of the Holy Spirit. It is God’s life living in us and changing us day by day that enables us to be Chrisians in the world. If thats not orthodox, then I don’t know what is. But I believe it was Karl Rahner, the Roman Catholic Theologian, who said that if the doctrine of the Trinity dissapeared from the Church, no one would notice. I think he was right. Many Christians today are “unitarian” in the sense that they neglect or downplay the roles of other members of the trinity, or play Jesus off against the Father, or see the Holy Spirit as an add on to the process because they are not quite sure where He (not it) fits. While I respect Trevin Wax’s critiques of the Shack, I found two of his critiques to be unfounded. Firstly, the book does not have a low view of Church. Rather it has a low view of an institutionalised, introverted and archaic institution that sometimes gets confused for the Church. The Church has been and always will be a group of people who are in relationship with each other and seeking to follow the God we see in Jesus by the power of the Holy Spirit. Secondly, the book may seem to be a too individualistic, but God is as interested in the individual as he is in the group. It’s become common place among theology students to complain that the west is so individualistic. But I find this to be odd. If you remove 1 leg from a 4 post chair the whole thing collapses. Being individuals we reflect the diversity of the God we serve, but we also need community to reflect the unity of God. Trevin’s final critique has more teeth. The book does take a low view of Scripture and stresses personal experience to such a high level that one would wonder what to do with the Bible after reading such a book. Here I agree with him completely. In conlusion, the book has changed me, and challenged me in many ways to rethink my understanding of the God I serve. Even if it is only to recognise that God is personal, alive, and the one true God of the world, the one who is in control of all things. I wish I could say it better than that. Even if you end up disagreeing with the author about a lot of things, I would still reccomend you read the book.